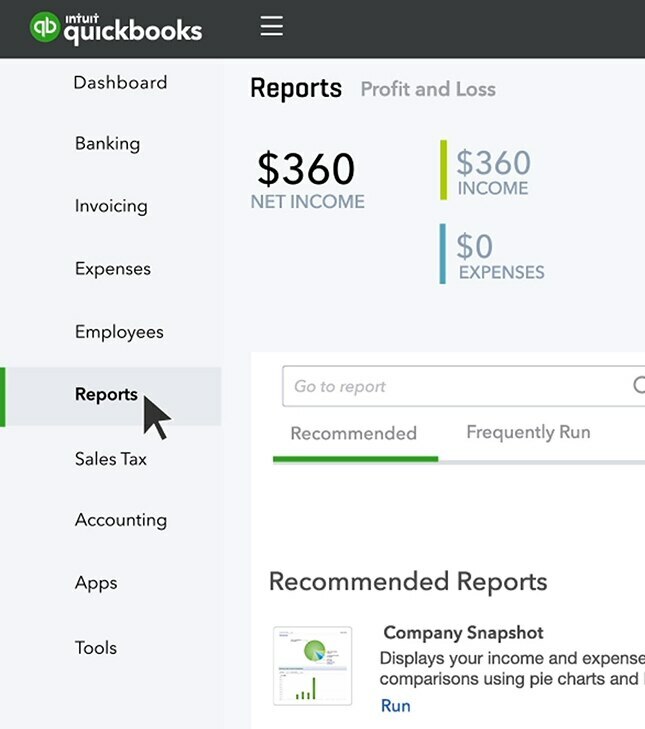 By connecting your bank and credit card accounts, you're able to see the health of your business and start having QuickBooks learn how you need to categorize your transactions. 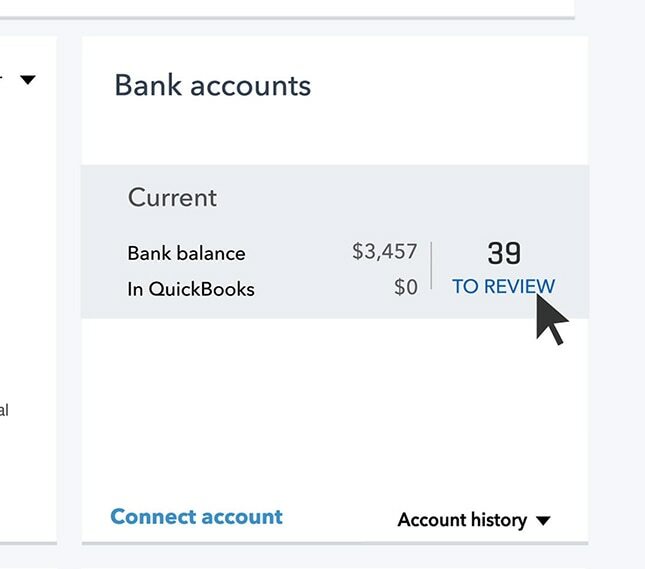 You may have already connected your bank and credit card accounts when you set up QuickBooks. But if you didn’t, you can do that by clicking Connect account. QuickBooks will walk you through the rest. 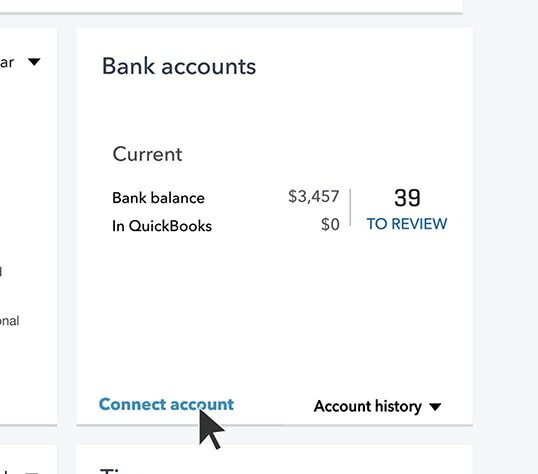 Once your bank and credit card accounts are connected, QuickBooks downloads the transactions. 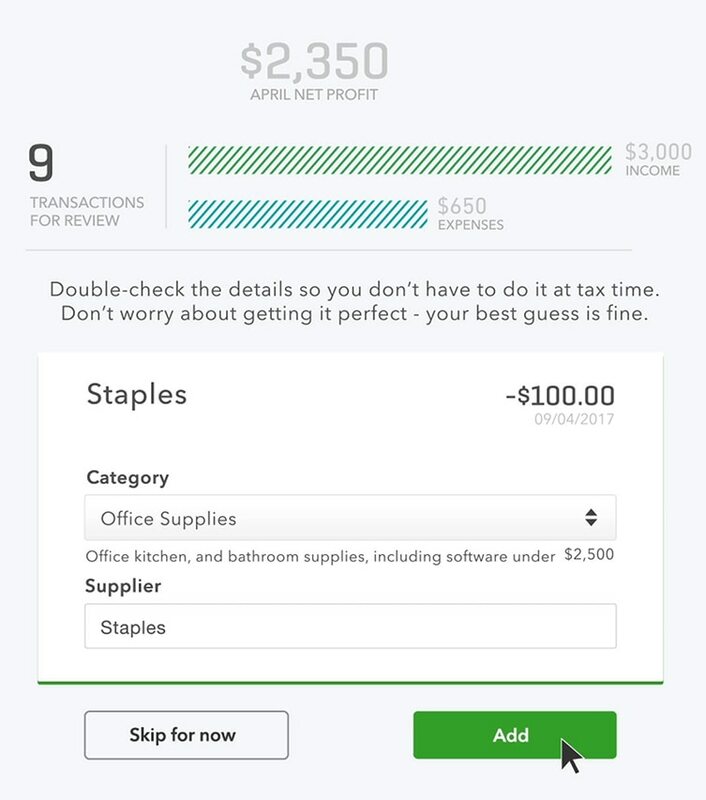 The first time QuickBooks downloads your transactions, it’s up to you to review and categorize your expenses. Do that by going to the Profit and Loss section on your Dashboard, and then click Review transactions. The first transaction you see is an expense. If possible, fills in who you paid and what it was for. In this case, the category is Office Supplies. You can change this information if you need to. In this case, office supplies is correct so you would click Add to add it to your books. This is where QuickBooks starts to help you out. It’s found other expenses that look like the one you just added and has assigned them all the same category. If all this looks right to you, click Add them all. Now here’s a check from a customer you deposited. QuickBooks categorizes it to sales account. Add it so that you have a record of this income. 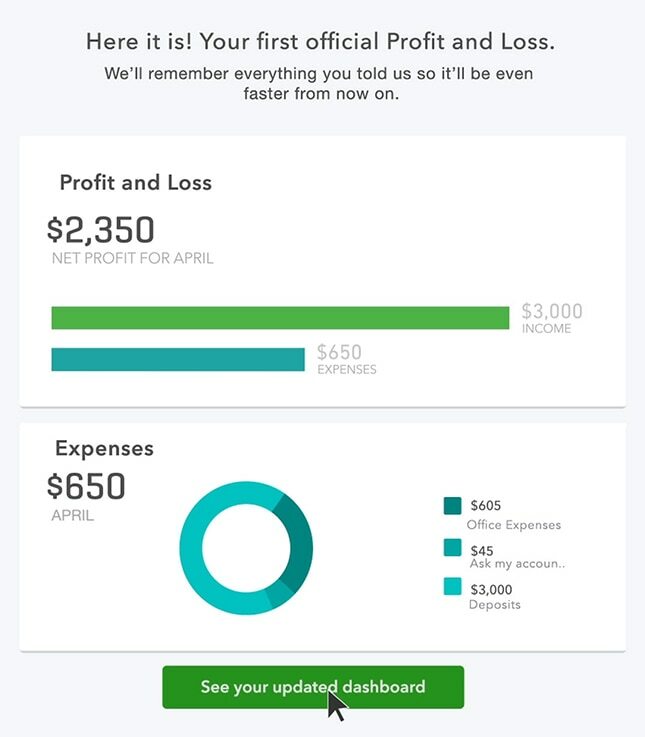 When you’re done reviewing your expenses, you can go back to the dashboard to see how you’re doing. On your dashboard, look in the Bank Account area. If there’s a number there, that’s the number of transactions left to review. Click the number to do that. 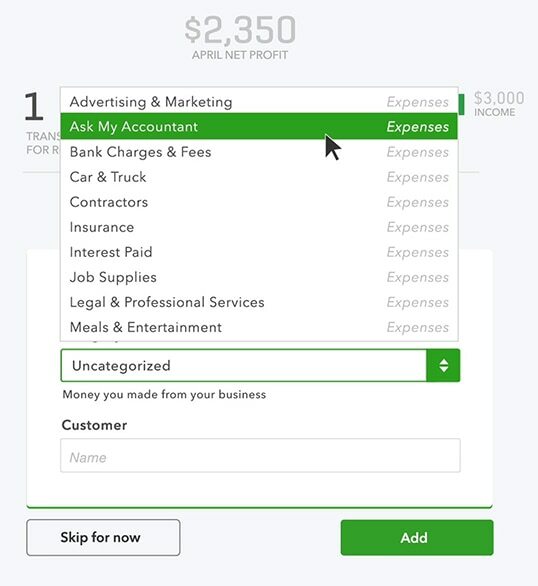 A transaction in green means QuickBooks recognizes that you categorized a similar transaction in the past, so it automatically assigns the same category for you. If you see a category in black, that’s QuickBooks’ best guess for how to categorize the transaction. Click Add next to a transaction to add it to your books. If it’s a wrong guess, just change the category and QuickBooks learns for next time. 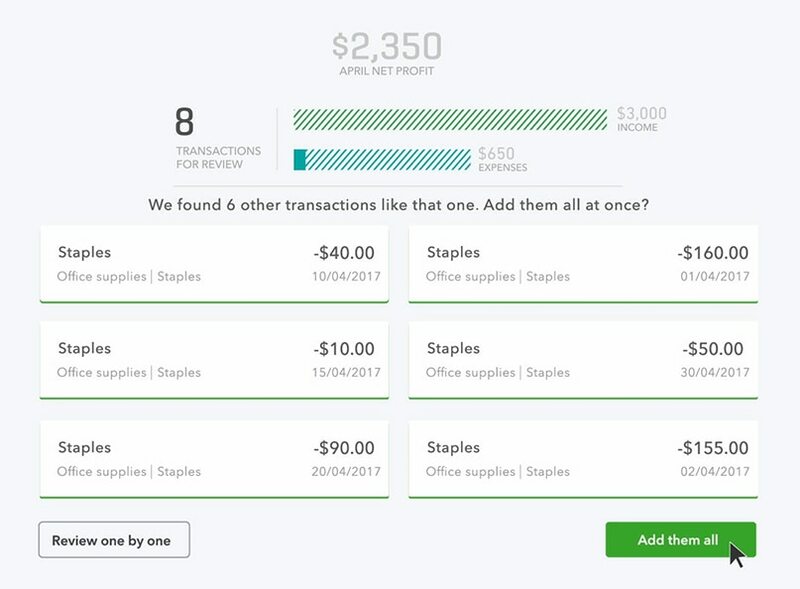 Reports like the Profit and Loss report show you more detail about how your expenses are categorized. To get to yours, just click on Reports, and then Profit and Loss.